On Saturday, March 24, thousands of young people will gather in Washington, DC, and other cities across the country and around the world for the March for Our Lives demonstration to end gun violence in our communities and schools. Many educators and youth development leaders are thrilled that young people are “finding their voice” on a critical social issue that affects their lives and the nation. Commentators and experts are recalling the vital roles young people have played in major social changes throughout history, including U.S. civil rights, the Arab Spring in the Middle East, the workers’ rights movement in the early 1900s, and many others. Yet it would be a mistake to stand on the sidelines, leaving young people on their own. 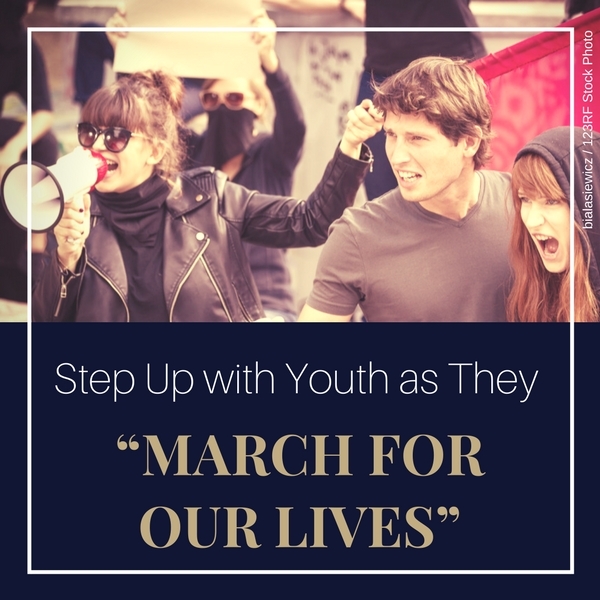 Young people need allies, mentors, elders, friends, teachers, and families to walk alongside them—figuratively or literally—as they take a stand for what they believe in, develop activism skills, and deal with inevitable setbacks. 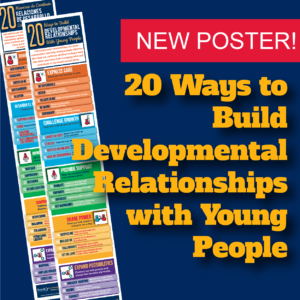 Like so many areas of life, young people need allies who are trustworthy and who “have their back.” They need what we at Search Institute call “developmental relationships,” or relationships that help them be and become their best selves, including active citizens in creating a better nation and world. So what do we do in our relationships to “be there” for young people who are combating gun violence through events such as March for Our Lives? The following six relational actions apply Search Institute’s Developmental Relationships Framework to this historical moment. Listen—Rather than assuming we know what young people are thinking about the issue and why it matters to them, we need to hold the space for them to tell us—in their own words. We need to really listen first. It’s important for young people to tell their own story and find their own ways to say (or sing, or sculpt, or paint) what really matters to them. Respect—To find their own voices, young people need us to take them seriously and treat them fairly (even if we disagree with their position). We show our respect in many ways, including engaging them in serious conversations about issues, not talking down to them or belittling their concerns or ideas, and being honest with them about the challenges . . . which leads to the next point. Navigate—Young people will encounter complex, challenging systems as they seek to create positive change, whether in their school, community, state, or the nation. An important way adults support them is to help them figure out how to work through the system, challenge injustices, and try new approaches when one strategy doesn’t work. Reflect on failures—Ending gun violence is not a small undertaking. Inevitably, some aspects of their activism won’t go well. They might flub their lines when making a speech. They may be snubbed by those in power. They may not achieve the policy changes they seek. These realities are all part of civic development. These situations offer important opportunities to help young people learn from the setbacks and figure out new paths forward. Working through these setbacks sets young people up to continue being active participants in and contributors to civic and political life. Collaborate—When young people encounter obstacles in their quest to create social change, how do we work together—not take over—to solve the problems? Just as we would with adults, we examine underlying issues, identify potential creative strategies, focus on those that have the most potential, then work out a plan to move forward. In the process, we share power and help them learn critical skills for working together to create impact. Let me lead—The young people from Parkland, Florida, have shown what can happen when adults stand aside and let them lead. To be sure, adults are working alongside them, collaborating with them, and helping them navigate difficult issues, emotions, and systems. But the power comes in young people’s own voice and leadership. These actions are not just one-way actions that adults do with and for young people. They are two-way experiences, grounded in the healthy give and take that is part of every strong relationship. So the question we must also ask ourselves is: How are we responding to, learning from, and being inspired by the young people in our lives to take action for the common good? How are young people inviting—and challenging—us to be and become our best selves? The six actions described above offer starting points for deepening relationships as young people find their voices and work for change. 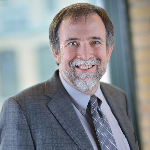 As Vice President of Research and Development, Roehlkepartain provides leadership for Search Institute’s research and development projects as well as serving as part of the nonprofit organization’s leadership team. Working with colleagues, he designs and implement major projects and partnerships aligned with Search Institute’s strategic priorities. He also represents the organization through consultations, presentations, and workshops. Roehlkepartain joined Search institute in 1991 and, prior to assuming his current position, has had a number of roles, including acting CEO, executive vice president, senior advisor to the president, and director of publishing.